This is almost certainly from episode 4, “And Now His Watch is Ended”. 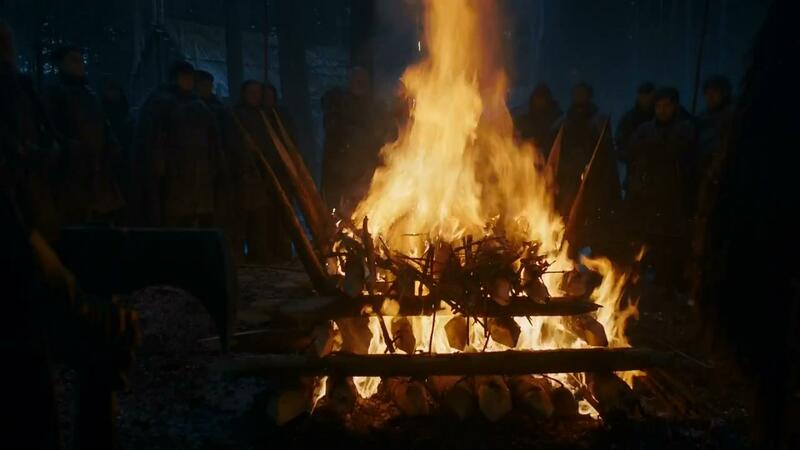 We can clearly see Lord Mormont and Samwell here, pretty sure we can see Dolorous Edd…. and if I’m not mistaken, to the right we have a cast member returning from the new season, Luke McEwan as Rast (whom we’ll more clearly glimpse later). The setting of this funeral pyre is, of course, Craster’s Keep.